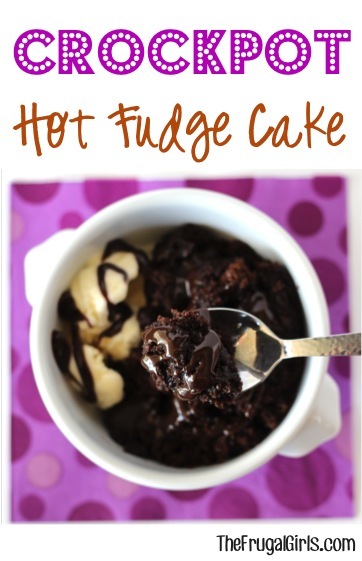 Enjoy some warm ooey gooey chocolate goodness when you make this yummy Crockpot Hot Fudge Cake Recipe! 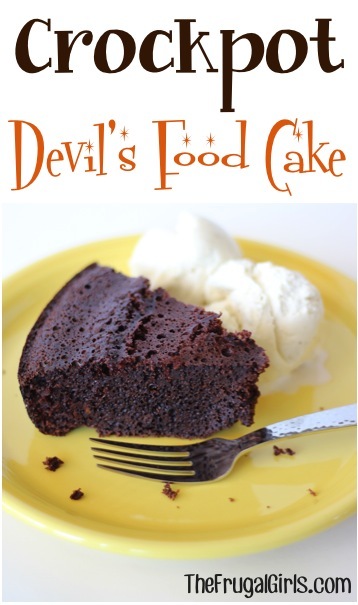 If you’re a Choc-o-holic, and proud to admit it… get ready for the dessert of the decade: Crockpot Hot Fudge Cake! 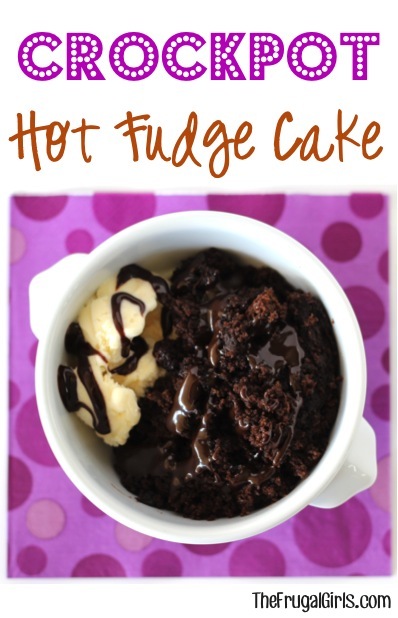 Ribbons of gooey hot fudge make this Slow Cooker Lava Cake pretty much irresistible. It’s the perfect ending to any day, as simple as can be, and the end-result couldn’t be sweeter! 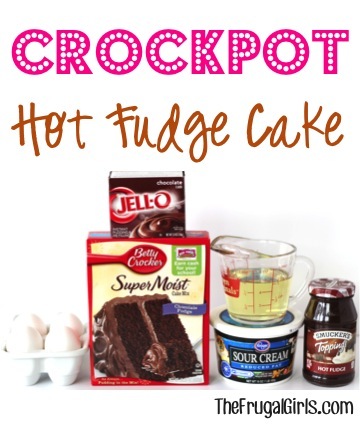 Crockpot Hot Fudge Cake Recipe! In medium mixing bowl, combine cake mix, pudding mix, eggs, sour cream, and oil for 2 minutes. Spray crockpot with non-stick cooking spray, then transfer mixture into crockpot. Cook on High for 1.5 hours, or until done. 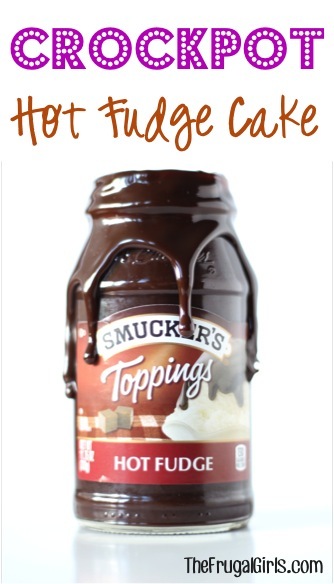 Once done, remove lid from crockpot and spoon out portions of this ooey-gooey deliciousness into bowls. 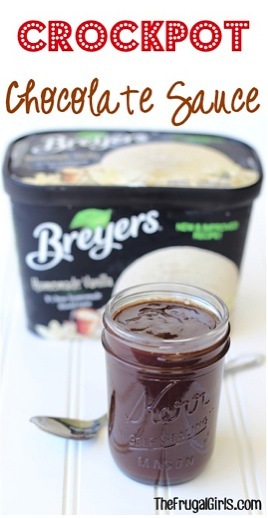 Drizzle each portion with Hot Fudge Sauce after you’ve transferred to a bowl, and serve hot with a side of ice cream. YUM!!! There is something about making dessert in the Crockpot that seems just a little bit scandalous. Like… is that cheating? 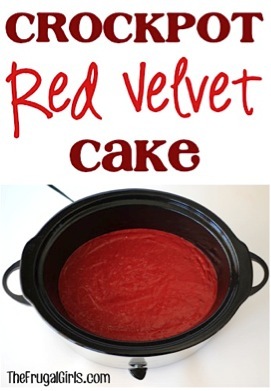 😉 Scandalous or not, you are going to LOVE these easy Crockpot Dessert Recipes! Can you cook this on the low setting and for how long? How much does this serve? 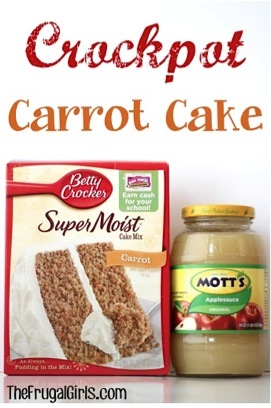 I was thinking about making this for my husbands birthday party next weekend. Hi Lenna ~ this one doesn’t work well if doubling. I’d suggest using two crock pots side by side if you’re able to. hello! can greek yogurt be substituted for the sour cream?? 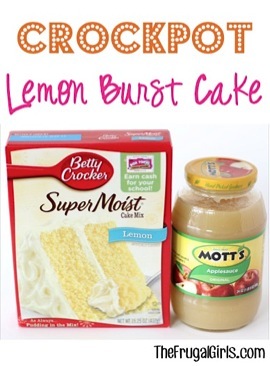 Hi Kelly ~ I haven’t tried that yet in this recipe, but if you do… let me know how it turn out! Is it ok to double the recipe? Hi Jenny ~ I haven’t tried doubling it yet. It should work as long as you use a large Crockpot. I made the original in a 4 quart, so I’d suggest using a 7 quart if you have one. Hope that helps! If you try doubling it, let me know how it goes! I was going thru some old notes of mine where I had jotted down your website. Not even sure who told me about you. Today I came on and saw all of your great recipes. I love crock pots and I cant wait to try some of your recipes. Love that you have Biblical messages also. Thanks! What size crock pot are you using for your recipes? I have a 4 and an 8 or does it matter ? Love all your recipes !! So excited to find you and try these. Thank you !! Oh My! Chocolate to the max. Made this for my family of 4, we almost licked the crock pot clean. I’m not sure if mine is a crockpot or a steamer. Does it work the same? It’s a round machine, but it just goes from warm to cook. Would a round crockpot work instead of oval. Oval crockpots are 6-8 serving. Round around about 4 servings. Yum!! I’d love a cup, please! I just ate lunch too, that’s be perfect.